Photos by Shaban Athuman/Staff Photographer Susan Dickinson measures a travel case for a pillow at the Pillow Bar. The business sells to 268 retailers and designers in the U.S. and Canada and to boutique hotels and resorts. 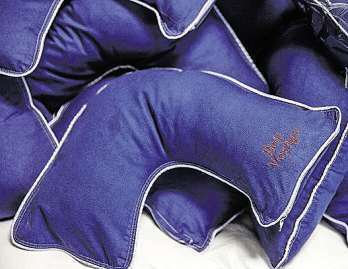 The Pillow Bar’s Jetsetter Mini travel pillow will be on the must-buy gift list in December’s O, The Oprah Magazine. 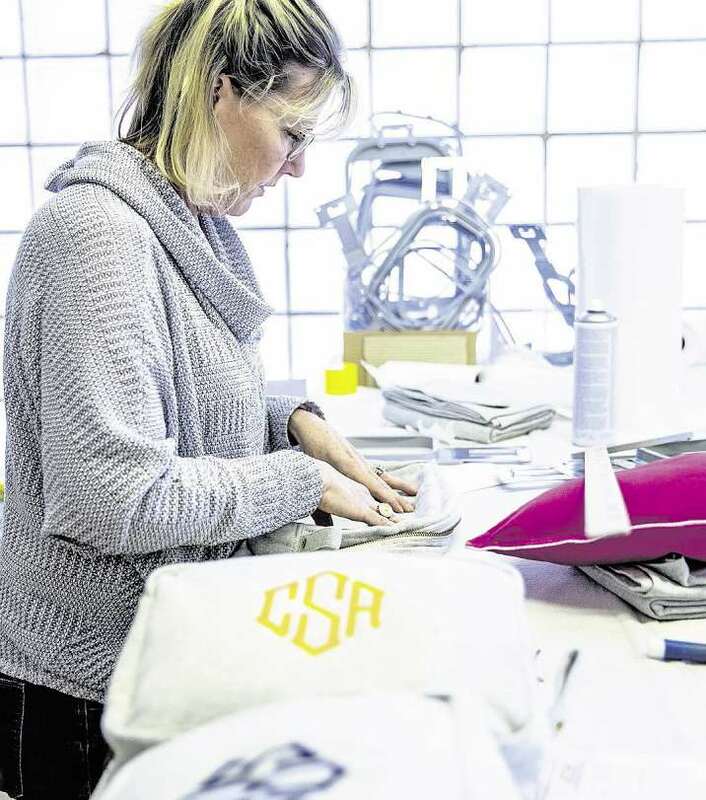 Build-a-pillow Ten years ago, Dillon invented a now-patented machine (in the garage of her Preston Hollow home) that plumps pillows with just the right amount of goose down or down-alternative filler to suit individual sleepers. Think Build-a-Bear for rest-weary adults. Dillon has never met the Queen of Influences, but she’s well aware of the Oprah effect. Two other Pillow Bar products were featured in O magazine this year: the fullsize sleeping pillow in May and the Texas Boyfriend shirt in August. “We did very well with both the pillows and the boyfriend shirts," Dillon says. “And our other products, too." So she’d anticipated a happy onslaught — just not quite to this extent. She, her staff of eight and a small legion of holiday workers made 1,000 in each of the Mini’s three colors and embroidered Oprah’s messages on them in advance of Oprah’s big reveal on Good Morning America three weeks ago. “But that definitely wasn’t enough,” she says. “Most of those are already out of the door. Some people have already reordered." The royal blue “Bon Voyage" Mini has been the best seller by far. The hot pink “Life’s a journey" and aqua “Love your best life" pillows are running an even-but distant second. “The best part is that more people are visiting our website and getting pillows with their own personal massage or initials. She has expanded the line to include US. - milled towels, sheets, bathrobes, dog beds, seersucker PJ sets and other U.S.-made luxury accessories. Dillon is having to refigure her company’s math, since she’s now expecting to sell 3,000 Minis. That would be an infusion of more than $150,000 on top of the just under $2 million in sales she'd expected for 2018 before this. Add in other products that are selling more briskly, and the Oprah windfall is more like a 10 percent gust.